This great looking cover fits directly over the factory throttle body on the 5.7L and 6.1L HEMI engines. 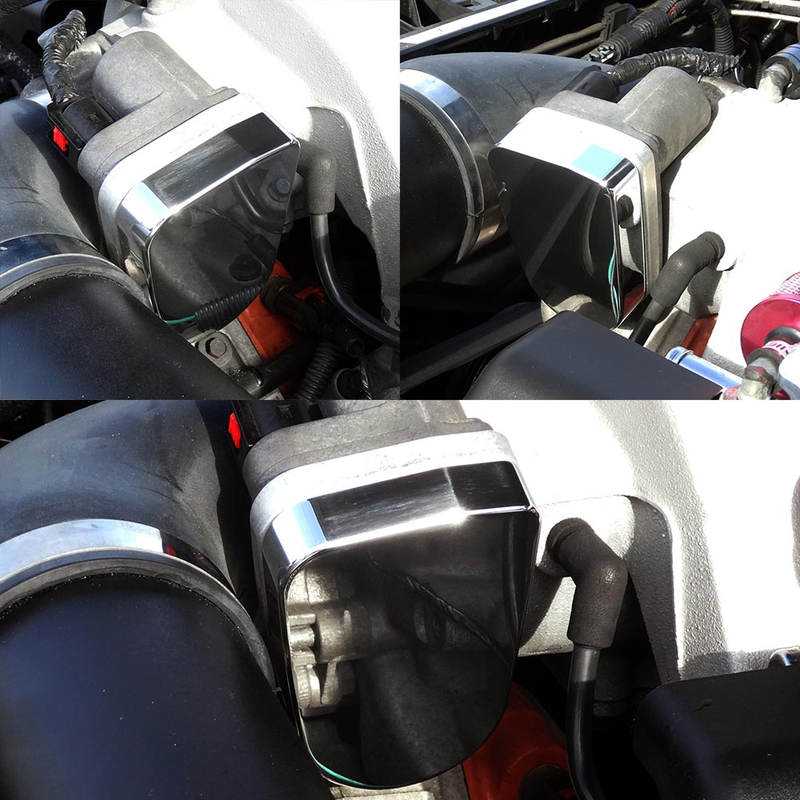 The UPR Billet throttle body cover also fits BBK Throttle Body setups for the HEMI engine platform. Installs with the supplied 3M Industrial Strength adhesive and then slide our cover right over the the existing throttle body. Installs in 5 minutes or less with supplied 3M backing. 2005 2006 2007 2008 Dodge Magnum 2.7 3.5 5.7 6.1 2006 2007 2008 2009 2010 2011 2012 Dodge Charger 2.7 3.5 5.7 6.1 2008 2009 2010 2011 2012 Dodge Challenger 3.5 5.7 6.1 2005 2006 2007 2008 2009 2010 2011 2012 Chrysler 300 2.7 3.5 5.7 6.1 2009 2010 2011 2012 Dodge Ram 1500 5.7 2006 2007 2008 2009 2010 2011 2012 Jeep Grand Cherokee SRT No one else can stack up to the bold clean styling of our aftermarket Billet dress ups, Street Strip & Racing Suspension & Performance Parts for your late model American Muscle Car!